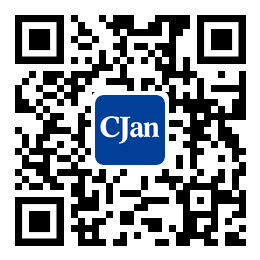 ﻿ Hose Pipe - CJan Fluid Technology Co., Ltd. It is an important component of the modern industry. The industrial hose is used in all kinds of gas or liquid transportation systems and served as the compensation element, seal element, connecting element and damping element in length, temperature, position and angle compensation systems. It decreases the stress produced under the rated conditions due to the bending of the bending radius, which ensuring the safety of the pipeline system. A brief introduction of the production and business of various types of industrial hose from our company. The hose pipe is totally made of 304 stainless steel, which has the characteristic of strong corrosion resistance; it is forming by thin-walled stainless steel hydraulic and has strong flexibility and scalability. Woven net sets strengthen the protection to it, so that it has higher compression capability, good flexibility, and can be bent into a condition suitable angle and radius of curvature. It is applicable to all kinds of pipeline fluid equipments. Medium: water, oil, steam, air and other fluids. It has excellent chemical properties; and characteristics like stability, non-stick, corrosion resistance, electrical insulation, aging resistance and excellent anti swing. The appearance of it has strict framework and no mechanical impurities. It is used for transporting strong corrosive medium in high temperature, and can be used for a long time in -60 C and 200 c conditions. It is applicable in special working environment like high temperature and corrosion.